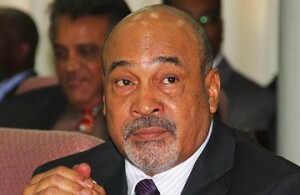 PARAMARIBO - Suriname does not appreciate interference from the Netherlands and other countries, Surinamese president Desi Bouterse said in the Surinamese parliament on Tuesday afternoon. “The Surinamese government attaches great importance to its independence”, he said in a discussion about not allowing a new Dutch ambassador in the country, ANP reports. “Ensuring our own sovereignty is a high priority of Suriname. With regards to the relationship with the Kingdom of the Netherlands, the Surinamese government wants a business relationship based on mutual respect and benefit without interference in internal affairs”, Bouterse said. The Netherlands wanted Anne van Leeuwen to be the new Dutch ambassador to Suriname. She was set to go to the country in July. But a few weeks before her departure, the Surinamese Ministry of Foreign Affairs announced that she was not welcome – after the Surinamese government granted permission in June. So far the Dutch government received no explanation for this decision, despite several attempts by former Foreign Affairs Minister Bert Koenders to get clarification, according to ANP. The Netherlands temporarily sent a business envoy to Suriname, who is currently leading the embassy and working on improving the relationship between the two countries. Bouterse did not directly address this situation on Tuesday.